Sun When You Want It, Shade When You NEED IT! A couple of true louvered roof experts with 25 years of combined experience put their heads together and called some of the 300+ LR Dealers that they established in the past while running other LR companies. They called them to ask “If you could design the PERFECT louvered roof system…what would you change, or fix?” Then they spent two years designing the ultimate louvered roof that’s about to totally disrupt the louvered roof marketplace! A Sundance powder-coated extruded aluminum louvered roof is a trendsetting new upgraded and updated louvered roof system that will disrupt the current louvered roof market across the United States and Canada. We are proud to release our new Motorized Adjustable Sundance Louvered Roof system because of all of the much needed improvements that their design team has implemented into the development of this revolutionary product. The Louvers open and close with the push of a button. When the Louvers are closed they route water into the extruded gutters that are attached to the beams and down the inside of the 6x6 support posts. When the Louvers are open they allow through any amount of sunlight or shade that you desire. 1. Large volume gutter with 2 levels of LED Light Shelves for ambient and functional lighting. 2. 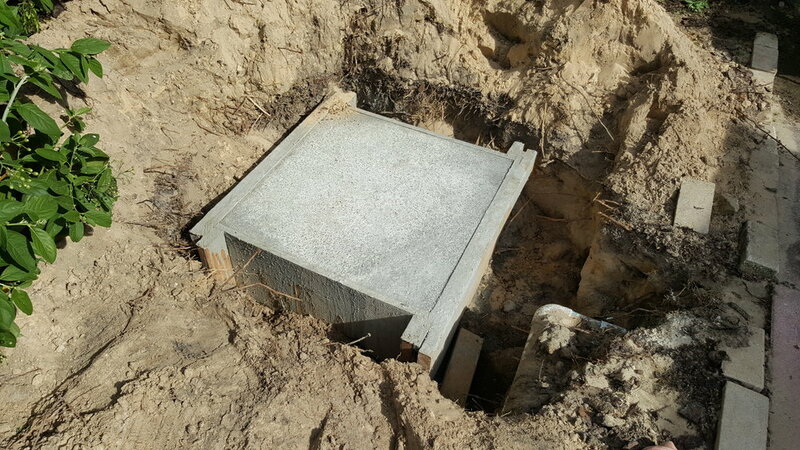 6”x6” heavy duty extruded aluminum posts which also serve as down spouts. 3. 2”x8” heavy duty extruded aluminum beams for longer spans between posts. 4. 160° louver opening to allow more sun or shade, or to keep the rain and snow out. 5. Designer heavy duty extruded aluminum gutter (crown molding style). 6. 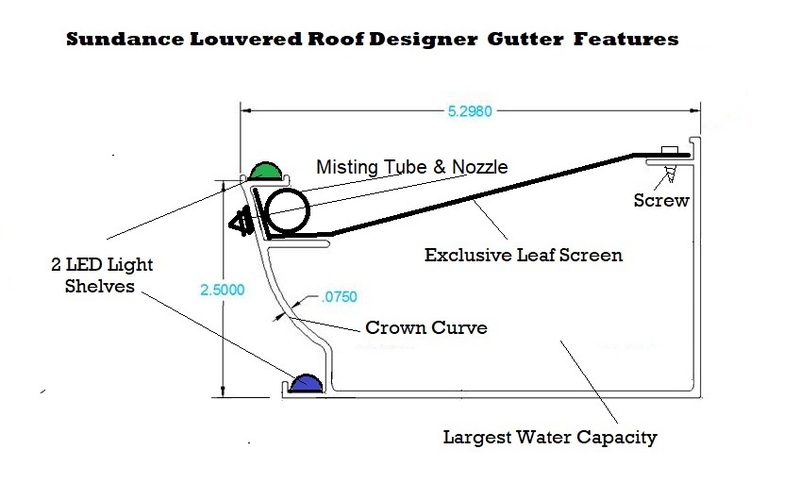 Gutter screen for clog-free gutters, designed specifically for Sundance Louvered Roofs. 7. Double skin insulated Louvers to reduce heat transfer below the cover. 8. Four structural extruded girders inside the Louver and 2 vertical stabilizers outside the Louver to give the longest span and stronger snow load capacity! 9. Beautiful, flat, tongue-and-groove style finished patio ceiling when Louvers are closed. 10. Weather stripping to ensure water tight application and quieter operation when closing Louvers. 11. The only system with ball bearing rotation mechanisms for low friction, allowing 1 motor to operate a larger sq ft of Louvers. 12. IP-65 (waterproof) motor for use in any climate. Double skin louvers with 4 structural extruded girders inside the Louver to keep you cooler below! Oops we forgot about our 13th (#1) advantage! Unlike all other LR systems, Sundance can control two side-by-side sections with one motor due to our unique encased ball bearing pivot system that puts less strain on the motor! Direct Funded 18 Month ZERO INTEREST Financing! Approval in minutes!